There was a significant bug in the previous release, reported by Hatsune Elissu – if you were arrested while using smartphone camera, your character would become invisible. This issue is fixed now in alpha 0.3a (download links are in the sidebar menu). Also, all translations in alpha 0.3a are updated according to their current status in the wiki. If you want to help translating the game into one of languages listed above, or into a new language you know but which isn’t available in the game as yet, please send me an email (check about/contact page for email address). 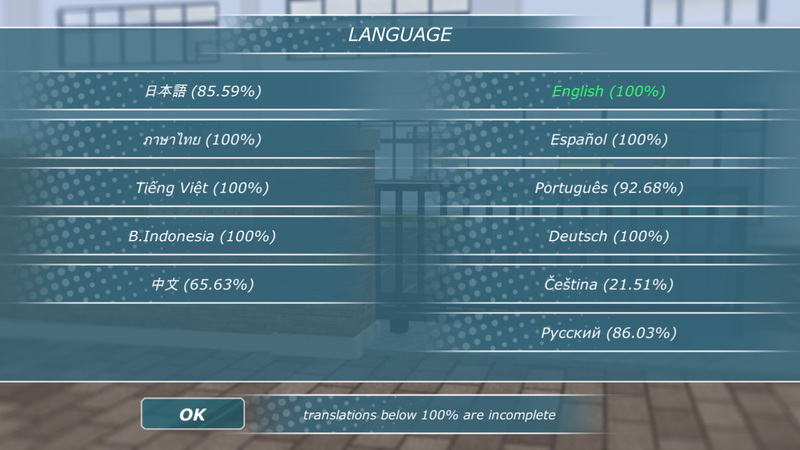 All translations are done by volunteers, so availability and completion status for all languages (apart from English and Russian, which are handled by me) depend solely on whether there are people willing to translate game texts. any chance of making it so we could kiss the GF character without playing the pocky game? In the future there will be many other options for kissing, the pocky game just happened to be the first one to be implemented. Right now you can kiss without pocky after level 50, btw. Buying food through a fridge does not make much sense, since it would mean all months of work I invested into creating stores and vending machines are wasted. If I don’t add various stores, and food stalls, and vending machines, I basically lose about half of game content for locations, already added and only planned. So I don’t think this is an option. Where can i get Kakigoori ? It’s available only in paid version. In free version, just use any other drink instead. Not any time soon, sorry. This is a big project that will take a lot of time to develop. If you want to play it now, you can check the 2D version for Android (if you still didn’t). Love the game so far! but how do you get money? By catching squirrels and selling them at the convenience store. I draw all graphics in Photoshop. Wow you must be a great spriter.